History shows that devotion to the Sacred Heart of Jesus and a great love of the Eucharist are inseparable. Jesus, who gave us this memorial of his sacrificial and atoning love, is now present in the Eucharist to bestow on us the wonderful pledge of the love of his heart. It is especially in the Eucharist that he offers us an exchange of heart, conforming our hearts to his heart. The life of Margaret Mary Alacoque is a Cinderella story: the ugly princess oppressed by malicious relatives who marries the prince. It is also a narrative of mental illness and how through illness a person can discover the power of the cross of Christ as salvation. At the direction of her wise and benevolent Jesuit confessor, Margaret Mary confided in her autobiography all her spiritual experiences. She wished to have it destroyed at her death, but it was kept as a precious relic by her fellow religious of the Visitation whose order she had joined. The diary begins by noting the death of her father when she was very young and describing how her mother, being left with five children, had to be absent for long periods to support them. Her grandmother, aunt, and great aunt subjected her to what she described as a life of “continual martyrdom.” Suffering from psychosomatic illnesses and sometimes unable to walk for as much as four years, she never left the house without the permission of these three persons. They continued to try to marry her off, but she felt drawn to the life of the convent despite her feelings of self-loathing. She often did violence to herself by her extreme penances. After an unsuccessful period with the Ursulines, Margaret Mary entered the convent of the community founded by Saint Francis de Sales and Saint Jane Frances de Chantal, the Visitation nuns. There she was instructed to accept the humane and compassionate directives of her superiors and to follow the spirit of the rule. My Divine Heart is so inflamed with love for me, and for you in particular that, being unable any longer to contain within itself the flames of its burning charity, it must needs spread them abroad by your means, and manifest itself to them in order to enrich them with the precious treasures which I discover to you, and which contain graces of sanctification and salvation necessary to withdraw them from the abyss of perdition. I have chosen you as an abyss of unworthiness and ignorance for the accomplishment of this great design, in order that everything may be done by me. The private revelations of the Sacred Heart of Jesus to Margaret Mary received official church approbation. 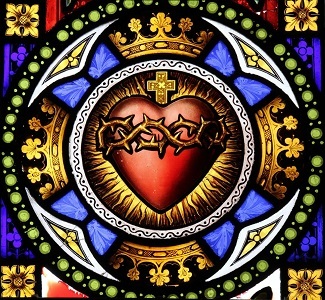 The practice of setting aside the first Friday of every month to the Sacred Heart as an assurance of salvation endured for many years up to the present time. The mosque-like church in Paris, Sacré Coeur, built as a national sign of reparation for the crimes of World War I, remains as a symbol of the power of her visions over France. But most of all, the residual effects of the Roman Catholic form of Calvinism, called Jansenism, were finally erased. Margaret Mary achieved for herself and for Roman Catholicism the conviction that we are loved by God even in our imperfection and sinfulness. This became the characteristic spirituality of the religious community she entered, which was founded by Saint Francis de Sales. 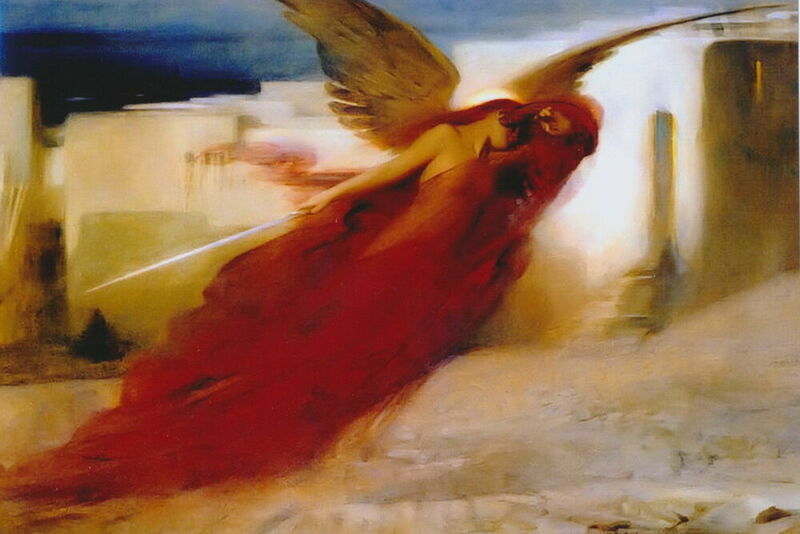 Jesus is now everywhere with his merciful love, as Saint Margaret Mary rediscovered for herself and for the world. My God, I offer you your well-beloved Son, in thanksgiving for all the benefits I have received from you. I offer him as my adoration, my petition, my oblation, and my resolutions; I offer him as my love and my all. Receive, O Eternal Father, this offering for whatever you will of me, since I have nothing to offer which is not unworthy of you, except Jesus, my Savior, whom you have given me with so much love. Amen. Saint France de Sales experienced liberation from his teenage depression by reciting this prayer no doubt familiar to Saint Margaret Mary Alacoque. Remember, O most gracious Virgin Mary, that never was it known that anyone who fled to your protection, implored your help, or sought your intercession was left unaided. Inspired by this confidence, I fly unto you, O Virgin of virgins, my mother. To you I come, before you I stand, sinful and sorrowful. O mother of the Word Incarnate! Despise not my petitions, but in your mercy hear and answer me. Amen.